∼ Dandelion by Benefit Cosmetics! I’ve been using Dandelion by Benefit Cosmetics for ages. I can’t believe this is the first I’ve written about it. 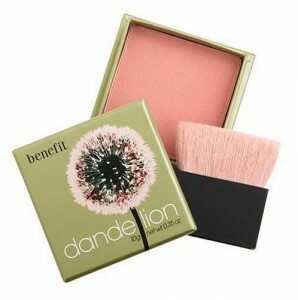 Dandelion is a soft, petal pink face powder that makes you look as if you spent the afternoon frolicking in a meadow. It allows you to appear healthy, happy and madly in love with life. Yes, one face powder can do all that. I apply it to the apples of my cheeks, across my forehead, the tip of my nose and anywhere that looks like it needs “waking up”. Dandelion should be a staple in every girls’ makeup bag. OMG OBSESSED!